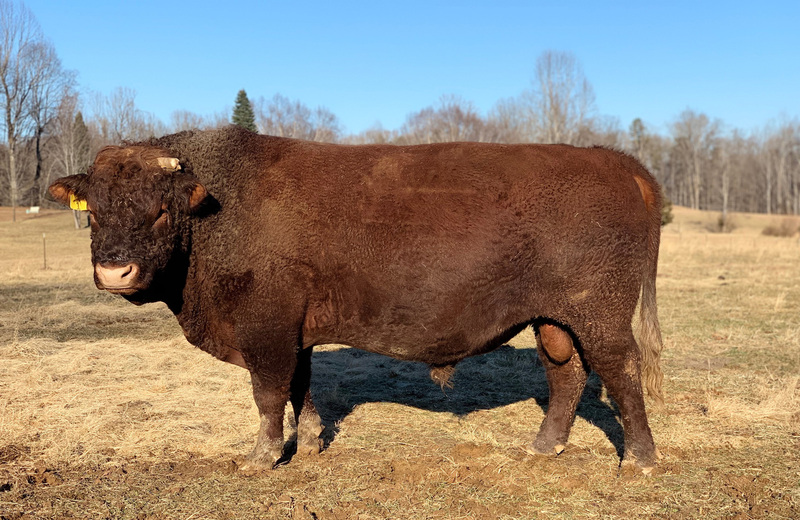 TDA Churchill was the first bull we developed in our pure English Devon project and we now have about a dozen of his progeny in our herd. Churchill’s dam was the best Devon cow we ever saw. She was national grand champion three years running until her breeder, Gavin Hunter of Tilbrook Grange, took pity on other English breeders and stopped showing her. Just as impressive…for four straight years her sons (Churchill’s brothers) topped the national Devon show auctions. We’ll always be grateful that Gavin shared Cashtiller with Thistle Hill. Cashtiller grandsons and granddaughters are available for inspection at our Farm.